Buddy Jackson a Cornerback from Pittsburgh and a 2012 NFL Draft Prospect shocked NFL Scouts and Coaches on Monday March 12th at the annual Panthers Pro Day. Jackson who has spent the last six weeks in training at Ignition APG in Naples Florida made history and broke an all time NFL Combine Record by posting an amazing 11.8 inch broad jump. His forty time of a 4.26 ranks as one of the fastest verified forty times this year. Jackson timed between a 4.26 and a 4,33 on his two runs for scouts. We give thanks to God for the athletic ability that Buddy has been blessed with and we congratulate Buddy on his record breaking accomplishments. 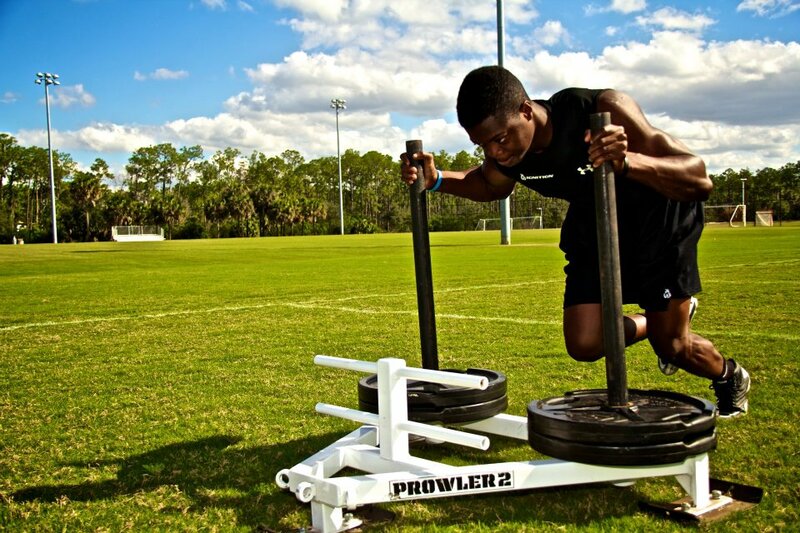 Take a look at the improvements Buddy made during his training at Ignition for his NFL Pro Day. Bodyweight added 11 pounds of lean muscle mass. Bench Press increased by 11 repetitions. Vertical Jump increased by three inches. Broad Jump increased by 9 inches. 40 Yard Dash decreased by nearly two tenths of a second. Pro Agility decreased by 3.6 tenths of a second.